Get the fact on SalesPad Cloud PointOfSale. Learn about SalesPad Cloud PointOfSale, the iPad-enabled point-of-sale application that handles day-to-day in-store sales transactions and employee management. 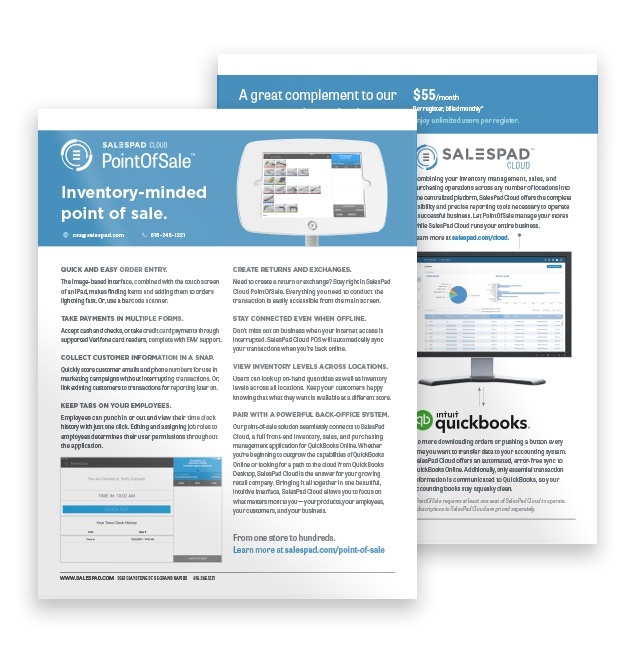 See how PointOfSale works with SalesPad Cloud.